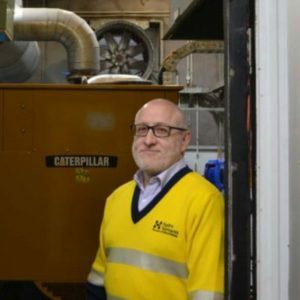 Hydro Tasmania are Australia’s largest renewable generator, and have a comprehensive track record in assisting remote island communities switch to reliable clean energy systems. The Flinders Island development involves integration of wind and solar generation with the existing diesel power station and the installation of enabling technology, such as a control system, flywheel, dynamic resistor and battery energy storage. Hydro Tasmania has worked with Tasmanian manufacturers to develop a series of modular units to house and ship the enabling technologies essential to the energy solution. Equipment was fabricated and tested off-site, ensuring a speedy rollout at the final location, reducing the risk, cost and duration of construction. The modular units provide a lower cost and scalable solution that will allow easy and rapid transport and installation for renewable energy projects and can also serve temporary generation, such as in disaster relief or in the mining industry. Since commissioning in late 2016 the Flinders Island hybrid energy hub has run 100% renewable for half of the time.